I started filming Madame Minako in 2005. I happened to live near her and given her schedule we often encountered each other at the end of the work day. I usually had the camera with me. As the interviews progressed, I wondered what it would be like to be a guest at a banquet with geisha, so we decided to recreate the special atmosphere of a Yoshiwara banquet. Since there are no geisha in Yoshiwara other than Minako, we also requested the assistance of two geishas from the neighboring Asakusa geisha district. The record we took was quite valuable and the occasion itself memorable. But the filming did not continue for long. Minako became ill and died one month later. It was 2010. 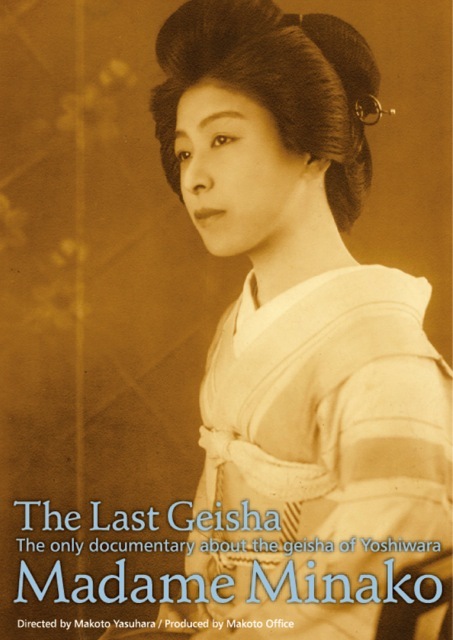 The Yoshiwara culture that led the culture of Japan completely disappeared with her death. Bonus Features: The booklet includes an article about the Yoashiwara geisha by Makoto Yasuhara and detailed profile of Mademe Minako.